^ Munk, Eva. Winton humbled by children's gratitude. The Prague Post. October 24, 2007 [20 November 2013]. （原始内容存档于2013-11-19）. ^ Grete Winton (1919–1999). IMDb.com. [28 October 2014]. ^ Nicholas Winton, savior of Jewish children on the Kindertransport from Prague, dies at 106 互联网档案馆的存檔，存档日期2015-07-03. ^ 5.0 5.1 沙莉編譯報導. 納粹屠殺中救669童 「英國辛德勒」逝世. 大紀元時報. 2015-07-02. ^ Nicholas Winton and the Rescue of Children from Czechoslovakia, 1938–1939. Holocaust Encyclopedia. United States Holocaust Memorial Museum. ^ Nicholas Winton, the Schindler of Britain. auschwitz.dk. 2008 [3 September 2009]. ^ 9.0 9.1 9.2 Nicholas Winton, Who Saved Children From Nazis, Dies at 106. Bloomberg. ^ Baruch Tenenbaum. Nicholas Winton, British savior. IRWF. 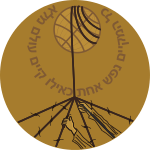 The International Raoul Wallenberg Foundation. [3 September 2009]. ^ 11.0 11.1 The 106-year-old British stockbroker who saved 669 children from the Nazis just died. Bussiness Insider. 2015-07-01. ^ Sir Nicholas Winton: How One Man Saved So Many Lives. Flashbak. 23 November 2013 [1 July 2015]. ^ 15.0 15.1 Lahav, Yehuda; Nir Hasson. Jews saved by U.K. stockbroker to reenact 1939 journey to safety. Haaretz. Ha'aretz. 2 September 2009 [3 September 2009]. ^ Nicholas Winton and the rescued generation Muriel Emanuel, Věra Gissing – 2002 "Many German refugee boys and some Winton children were given refuge in Christadelphian homes and hostels, and substantial documentation exists to show how closely Overton worked with Winton and, later, with Winton's mother, "
^ Sir Nicholas Winton – A remarkable living legend. The Jerusalem Post. 18 May 2015 [1 July 2015]. ^ Nicholas Winton's children: The Czech Jews rescued by 'British Schindler'. BBC News. 1 July 2015 [1 July 2015]. ^ Sir Nicholas Winton, who saved hundreds of children from Nazi persecution, dies aged 106. Maidenhead Advertiser. 1 July 2015 [1 July 2015]. （原始内容存档于2015年7月2日）. ^ Koppel, Naomi. Kindertransport Organizer Nicholas Winton Dies at 106. ABC News. 1 July 2015 [1 July 2015]. ^ 'British Schindler' Sir Nicholas Winton dies aged 106. BBC News. 1 July 2015 [1 July 2015]. ^ Robert D. McFadden. Nicholas Winton, Rescuer of 669 Children From Holocaust, Dies at 106. New York Times. 1 July 2015 [2 July 2015].